NEW YORK - For many Israelis and Palestinians, there's no common ground. Fights over land rights and basic recognition in the region keep the two groups strictly apart. 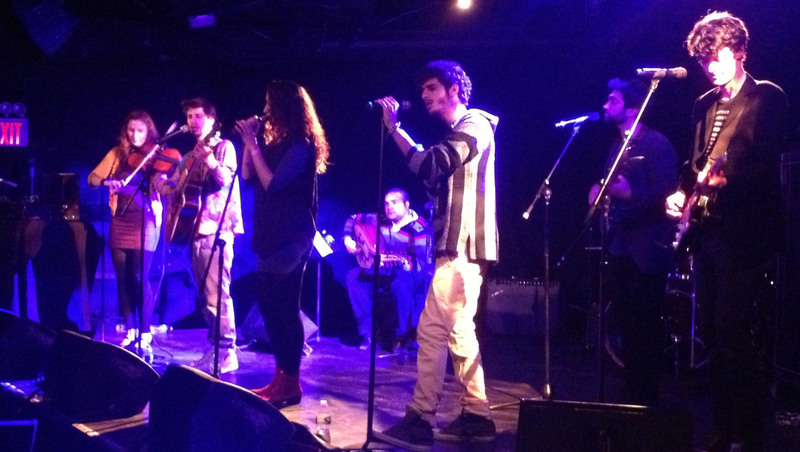 "We want to show how hard our reality is," said 19-year-old Palestinian rapper Moody Kablawi. Kablawi lives in the city of Haifa, a segregated area of Israel where Arabs and Jews reside in different neighborhoods and study in different schools. "Unfortunately, we don't have programs that support people getting to each other to know each other," he said. But a few years ago, he found one. Kablawi is one of the original members of Heartbeat, an Israeli-Palestinian youth ensemble hoping to create dialogue and change through music. Executive Director Aaron Schneyer formed the group in 2007 from a Fulbright-mtvU fellowship aimed at studying how music can build mutual understanding. But he felt it was too powerful to stop there. "There have been a lot of programs that have tried to bring together Israelis and Palestinians before, but few give a chance for the young musicians to say what they want," Schneyer said. Since its inception, Heartbeat has mentored 100 young musicians through retreats and camps. The group currently has 25 members, scattered throughout major cities in Israel. Israeli guitarist Guy Gefen says having Israelis and Palestinians working side by side is often viewed as controversial. "Some people get very intense around the idea. They are fearful and they think we are talking about giving rights to one side and taking them from the other." But Heartbeat doesn't take sides, and their performances are a living example. Incorporating Middle Eastern traditional sounds with a pop punch, they hope to create music for a larger audience, singing in Hebrew, Arabic and English. After playing New York's Le Poisson Rouge, Heartbeat felt it needed to take the political stage on Capitol Hill in Washington. With an April deadline looming for U.S.-brokered Mideast peace talks, they felt it was the time to act. The group will be one of 80 organizations under the Alliance for Middle East Peace pushing to launch the International Fund of Israeli-Palestinian Peace, which would provide $200 million a year to grassroots peace-building efforts. The briefing at Congress is hosted by Rep. Lois Capps. The California Democrat invited Heartbeat to perform to promote person-to-person diplomacy and represent Israeli and Palestinian citizens' voices to Congress. Currently, the majority of U.S. aid to Israel falls heavily toward military efforts, and Schneyer says there needs to be more focus on people-to-people programs. "We're going to the Congress to say that if the United States is truly invested in creating a sustainable, peaceful, just future for that region, then we as Americans need to invest in that future," he said. Whatever the outcome of their trip to Washington, Heartbeat will continue to perform in an effort to inspire.